After a scintillating drive in Singapore, Championship leader Lewis Hamilton will be gunning for gold yet again as the Formula One calendar heads to Sochi for another edition of the Russian Grand Prix. Sebastian Vettel looked visibly off the pace during the final race in Singapore, and the Ferrari pit crew will be looking to clean up their act before the next race rolls around, knowing full well that a poor drive this time would effectively end any chance of winning the World Championship. When is the Russian Grand Prix Weekend? The Russian Grand Prix will take place on Sunday, 30th September 2018. The race will begin at 02:10 PM local time (04:40 PM Indian Standard Time (IST)). Free Practice 1 will be held on Friday, 28th September 2018 at 11:00 AM local time (01:30 PM Indian Standard Time (IST)). Free Practice 2 will be held on the same day at 3 PM local time (5:30 PM Indian Standard Time (IST)). Free Practice 3 will be held on Saturday, 29th September 2018 at 12 PM local time (02:30 PM Indian Standard Time (IST)). Qualifying will be held on Saturday at 3 PM local time (5:30 PM Indian Standard Time (IST)). What TV channel is the Russian Grand Prix coverage on and where can I watch it Online/LIVE stream? The Russian Grand Prix will be available for viewing on Star Sports HD2 in India and can also be seen via live stream on hotstar.com for subscribers. 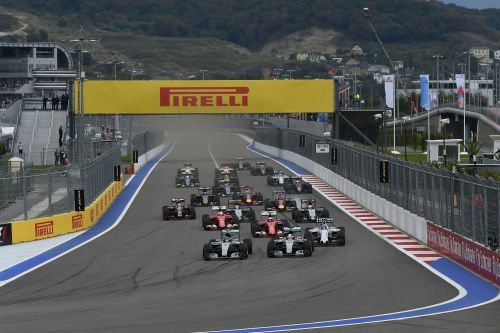 What circuit is the Russian Grand Prix held at and how many laps do the drivers race for? The race will be held at the Sochi Autodrom circuit in Singapore and will consist of 53 laps in total. The race distance is 309.745 KM in total with the circuit length approximately 5.848 KM. We could be in for a partly sunny weekend at Sochi with warm weather predicted on Saturday and Sunday as per Accuweather.com.